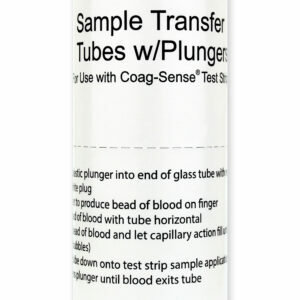 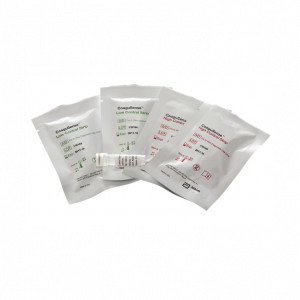 The Coag-Sense™ PT/INR Test Strip Kit includes: Coag-Sense Test Strips (box of 50), 2 high and 2 low control strips, 1 control activation solution vial, 54 capillary tubes & plungers. 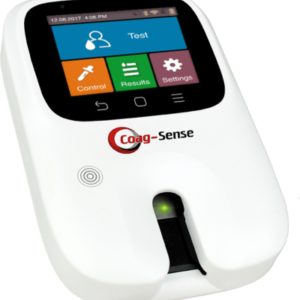 The Coag-Sense™ PT/INR Monitoring System. 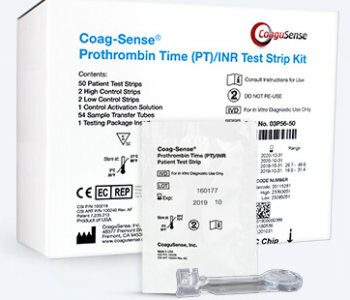 The first PT/INR system to directly detect clot formation representing a breakthrough in PT/INR testing design simplicity!